Hurry, this offer won't last long. Click below to take advantage of this limited time offer on email countdown timers! Enjoy your FREE email countdown timer from Sendtric! We know how important it is to create effective email campaigns, and we would love to be part of your success. That's why our service is free and without branding. Need something custom? Check out our Professional Edition which has more features, or email us if you have any questions. Need extra customization? 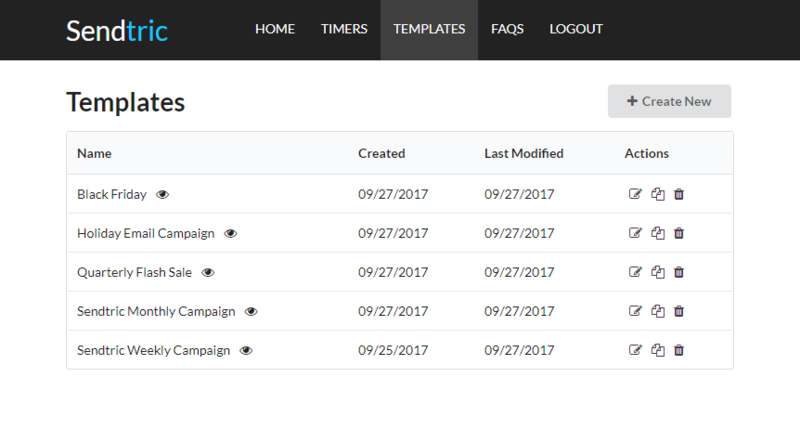 Looking for better organization of your countdown templates and campaigns? We offer a wide range of advanced features that are perfect for companies looking to create the most personalized and effective email countdown timers. Store countdown designs to maximize efficiency and organization. Modify the timer at any time, even after a campaign is sent to prevent mistakes or make changes. Our core service will always be free, without limits or branding. The Pro Edition pricing can be found below. Not sure if the Pro Edition is right for you? You can register and create timer templates for free! All plans are month-to-month and can be cancelled at any time. How do your countdowns work? 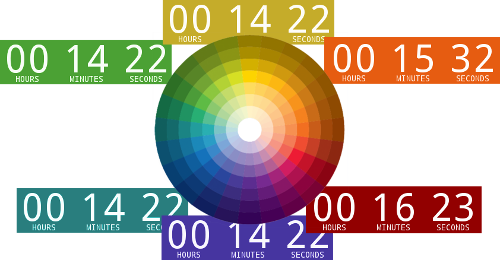 Our generator creates real-time, animated GIF countdown timers for use in HTML email templates. The timers can be created for any date/time within the next 30 days (up to 99 days in Pro Edition). How can I use your countdown timers? Our countdowns are designed to be dropped into HTML email templates. Select options in our countdown generator, click generate, and paste the code into your template. 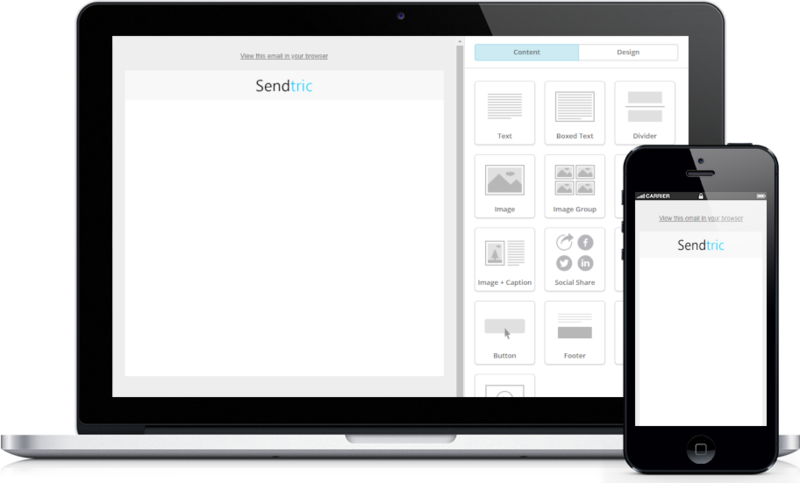 If you need further assistance, email us at support@sendtric.com. What is the email client support for your countdown timers? Our countdown timers are animated GIF images, which are supported across nearly every email client. The exception to this is Desktop Outlook 2007+, which will show only a static image of the timer. However, this image will be accurate at the time the user opens the email. How do I choose the right time zone? By using the time zone drop down in the timer creation form, you can ensure you are selecting the right end time for your users. If you need a countdown to end at, for example, 12:00pm in multiple time zones, this will require multiple countdowns since it would be counting down different amounts of time. Our service is very reliable, even for large volumes. We do not make uptime guarantees for our free service, but we take great pride in our reliability, as we know this is an important consideration. For added assurance of reliability, check out the Professional Edition which comes with an uptime guarantee. Why is your service free? Is there a catch? There is no catch. We are happy to provide you with a great service and value addition to your email marketing efforts. If you need additional functionality, you may find extra value in the Professional Edition. I work at a web agency. Can I use your service? We do not allow redistribution or resale of our free service in any way. Therefore, if you work at a web agency (or similar entity), and intend to use Sendtric countdown timers in a client deliverable, please look into our Professional Edition, which allows agency usage. I have another question, or have a special request. Please email us at support@sendtric.com and we would be happy to assist!